by S. Nappalos- When a revolutionary begins organizing in a shop, the first step is typically to agitate one’s coworkers. In our minds we see a step-by-step process wherein our agitation leads to other opportunities, recruitment, committee building, until we have power and an organization. The problem is that for most workplaces, this way of thinking gives the wrong impression. In some workplaces, particularly in production, there’s a state of constant agitation and actions burst out before committees ever get built. In other workplaces agitation just never seems to take hold. What do we do in these situations? What do we do when agitation takes years without much visible result, or in places where workers are clearly in the retreat or a passive state? “We must not be impatient. We must be prepared to work within the context of a long-range perspective which may take years of dedicated effort before visible progress will show that our struggles have not been in vain” . 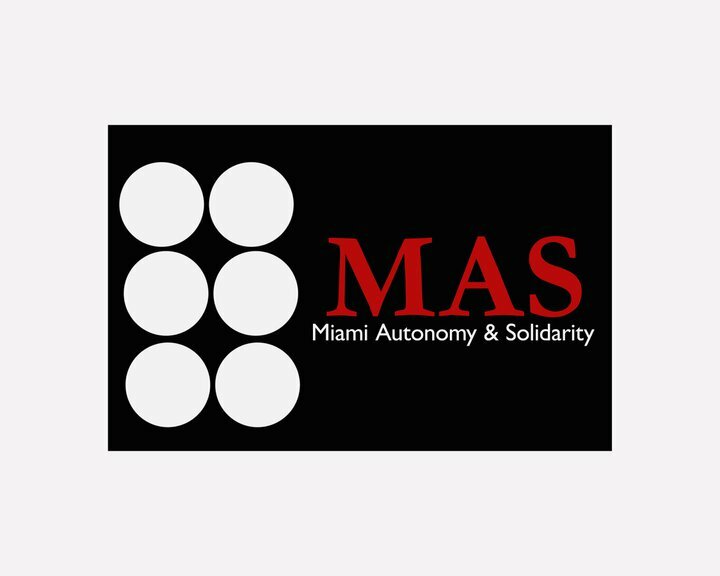 This entry was posted in English and tagged liberatory education, miami autonomy and solidarity, paolo freire, praxis, revolutionaries, unions, workplace organizing. Bookmark the permalink. Excellent and accurate! Very good suggestions for a new direction in organizing. Thanks for this interesting piece. I would like to come back to some of the points you made. I’m sorry, in advance, if this reply is too long. As Scott knows, one of my favorite Sam Dolgoff quotes is the one he used at the end of his article. And this is generally the point I try to drive home to my younger comrades. I was just recently having a conversation with a comrade. He salts for a union and the conversation was about building indigenous shopfloor leadership and ownership of the union in the workplace. Perhaps that is the take away from this experience. I think that by hogging the militancy and spotlight, it dis-empowers coworkers. They become to rely more and more on you and not on themselves. Without a long term perspective and commitment to trying to stay on the same job for a long time, we are unable to have any possibilities for building self-empowerment and strong shopfloor unionism. organization. This comes with time, if it comes at all. into the discussions and into our overall work. I found that this takes lots of time, lots of work and there is little day-to-day excitement as you have in the height of a union drive, a contract fight, a group grievance and so forth. there (or as long as the pocket book can afford). By keeping ones “eye on the prize”, lots of long term commitment, often times creativity and stamina to plug at is is needed. From this anarcho-syndicalist’s point of view, there are no guarentees. Sometimes it’s we “luck out”, sometimes we fail. But if we make no meaningful efforts at trying, we are sure guareeting our failre. Thanks for this article. I agree entirely and have had several conversations along this line in the past few months. Along the lines of what I think Syndicalist is getting at, I would just make certain suggestions in terms of how we phrase things when we’re talking about this sort of thing. For example, near the beginning you say, “Without having respect, trust, and influence amongst your coworkers, it’s irresponsible and dangerous to try and organize.” From the context of the rest of the piece, I think what you’re trying to say is that it’s irresponsible to try and “push for action”. As far as I’m concerned and in fact have been trained to see it, ‘organizing’ is exactly what you suggest we should be doing: building relationships, confidence, and trust. The dramatic actions that get a lot of press are not the core or necessarily the goal of what our organizing is (or should be, at least). Like you point out, we are organizing in many different contexts and in a lot of places and times the big actions aren’t really feasible. But that doesn’t mean we’re not organizing in all the places we’re at where there aren’t the big actions going on. I think you’re right that a lot of folks who want to organize are really hung up on wanting the action and militancy to explode in a short time, and I think our job in trying to combat those kinds of approaches is to talk more about and really demonstrate that we value the relationships and education you’re getting at as much or more than what Syndicalist called the Wahoo aspect (I love that phrase!). Good comments. Part of the inspiration for this piece came out of wrestling with my role in my work & how it didn’t fit with conceptions I held when younger about what workplace organizing was. Syndicalist and I had a productive discussion of the nuances between salting and working long term in an industry to organize. I think in some ways our conception of organizing is too narrow like the commenters all discuss. Even I felt like I wasn’t organizing at work, even though I was. Part of thinking in new ways about what we’re doing is that it opens up opportunities for new action. If we see some of these elements (relationship building, responding to lack of solidarity, etc) as organizing, it can bring to light how we can be strategic in many different environments, with different tactics and progression of activities, and over the long term. period differences of priorities or plain ole misunderstanding. years later, I see perspectives and nativities that time has changed. judge the past by where the movement may have pro-gressed today. were tough, had experience and were willing to fight. Comes round 2.
retreated in defeat on the bosses terms. “given-up” on come to the fore. Let me sign off, I think I rambled enough and hope I was mainly on point. Thanks, MAS, for another excellent and accessible reflection on organizing and thanks also to Syndicalist and Rachel for their thoughtful commentary as well. I’m following MAS and other related projects with real excitement here in Texas. Thanks for this article. This is a good summation of my thinking in the last year of a new job, trying to figure out how to organize. The small things do add up.